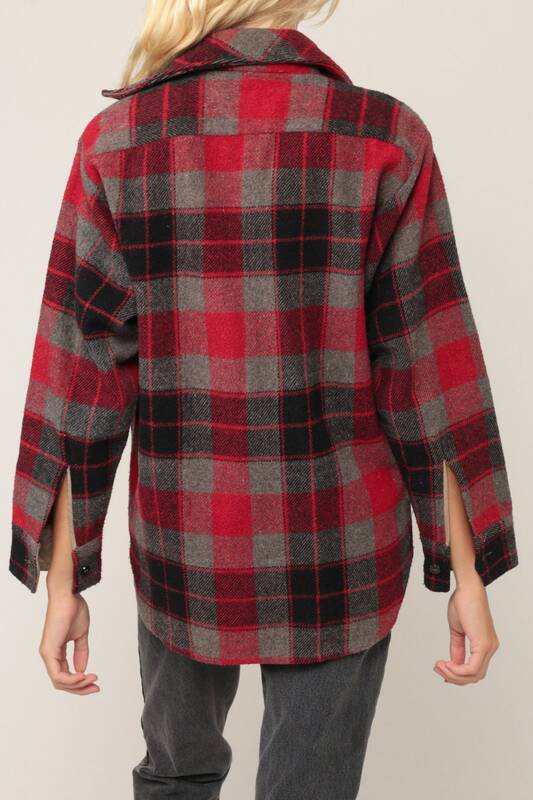 Vintage 70s shirt in red, black and grey plaid wool. Buttons up the front with long wide sleeves. Unisex. For reference, model is 5’9” and measures 34-24-34. Condition: Very good vintage. Some faint discoloration around the collar lining.